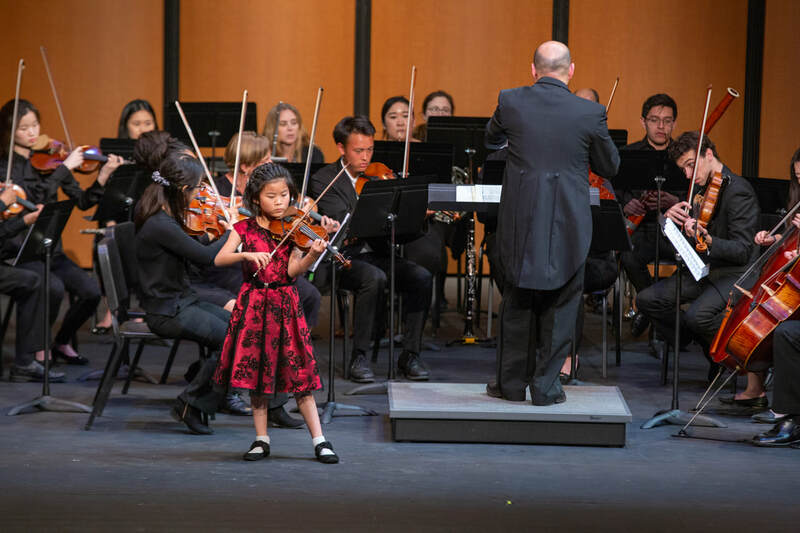 Community Youth Orchestra of Southern California is committed to offering students a unique social and musical experience. 1. Reasonable tuition costs with no hidden fees or "extras," with a transparent budget that makes sense. The 2018-2019 yearly tuition for participation in our ensembles is $400 per student. We have increased the tuition cost only slightly over the past few seasons, and strive to ensure that the program is affordable without sacrificing on quality. There is no "workshop fee" for extra rehearsals and coaching as everything is already included. There is no "mandatory donation" to support our non-profit organization, as we seek sources of funding beyond our participating families. There is no door-to-door fundraising. Our carefully planned fundraisers, from personalized folders to our 100-Day Practice Challenge are all musically-focused and intended for adults in the community to support. CYOSC puts the funding that we have towards the facilities we use, primarily compensation for the teaching staff, sheet music, and miscellaneous materials like sheet music, folders, pencils, and name tags. We avoid spending our funds on extraneous things that are not related to our educational mission, and our financial records are as transparent as possible. 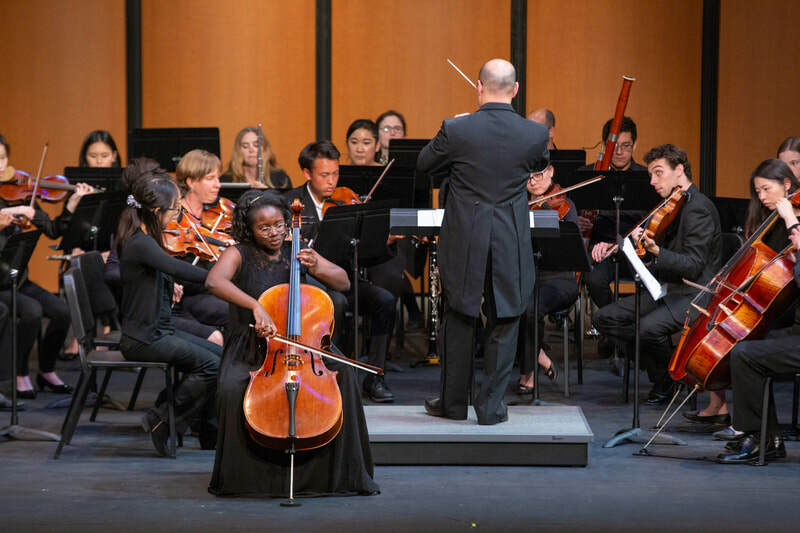 Our board of directors and Music Director are constantly working on developing grant funding to support the orchestra's activities, and very recently we have started committing a portion of our budget towards student scholarships and our instrument loan program. 2. Great works of music. We are committed to sharing with our students the thrilling experience of playing the great works of classical music. 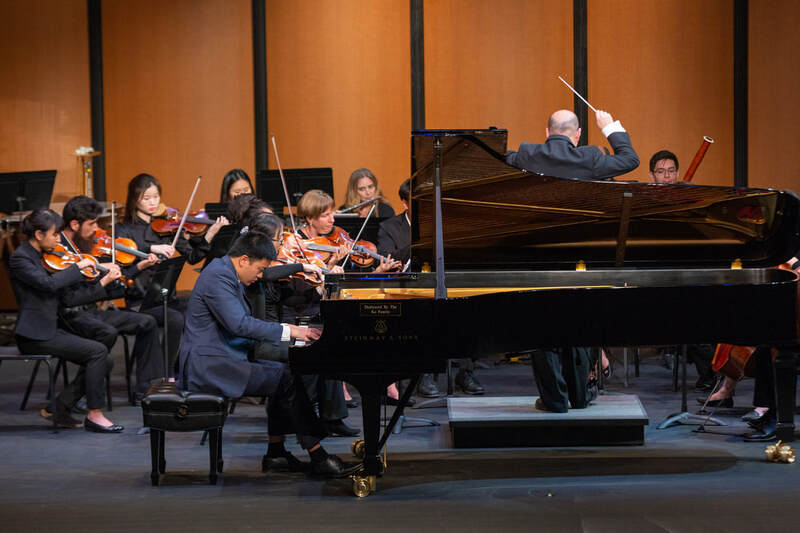 This means from Vivaldi, Bach, and Handel to Haydn, Mozart, Beethoven, and beyond, we understand the responsibility of conveying a love and admiration for the works of music that in some cases have been in the ear of audiences worldwide for centuries. This is an orchestra for many "firsts" for young musicians...a first time playing Beethoven's Fifth Symphony, a first time for the magical Dance of the Sugar Plum Fairy, a first time the overtures of Mozart are not just notes but the introduction into the grand world of opera. We also premiere new works from time to time from living composers, and strive to incorporate a wide diversity of composers and cultures into the music that we explore. K-12 School orchestras have largely filled the need for any sort of educational travel that students might want to participate in, including performance trips to places like Carnegie Hall, the Sydney Opera House, various European destinations, etc. While we don't do any sort of performance travel, we are more than happy to recommend several other youth orchestras that do focus on that if that is something you're looking for. Many of our students have never had the opportunity to play a solo in front of an orchestra before. Each season, we offer an internal Concerto Audition that allows students of any age and ability level who have prepared and polished a solo work the opportunity to present it in a recital held by CYOSC, where a panel of our staff and guest adjudicators provide feedback to the performers and select as many of them as possible for further coaching and to appear in a concert accompanied by a chamber orchestra made up of our faculty and professional guest artists. This experience is available only to CYOSC members in good standing, and students who have developed their solo performance skills in our program have gone on to win the Orange County Youth Symphony Concerto Competition, Southern California Philharmonic Young Artist Concerto Competition, and have been finalists in the Classics Alive Young Artist Auditions. 7. Four major concert performances each season, with limited rehearsal time. 8. Partnerships with private teachers and school music programs. 9. Community Service through Music. As teachers in K-12 public and private institutions, we recognize the need for community service that engages our students to use the skills they have developed to help others. In sharing our passion for teaching through music, we hope to inspire the next generation of educators while communicating the important lessons about life, character, dedication, responsibility, and all those attributes we want our kids to embody in a positive way. We sponsor part of the cost of professional development/teacher training for our younger teachers, our Community Service Program helps cultivate student leaders through volunteer and mentoring activites, and our Music Director, Mr. Wie, serves the orchestra entirely as a volunteer (unpaid) and has done so since he assumed leadership of the organization in 2005. As parents and educators ourselves, we expect a lot from our students. We know that they are intelligent, curious, and capable of accomplishing far more than they know. We understand that a little bit of struggle is not a sign of lack of intelligence, but rather a necessary component in learning about dedication, commitment, and personal responsibility. While CYOSC rehearsals can be fast-paced and intense, we balance that with a good dose of humor and a willingness to help students find their way, no matter how long it takes. We understand that our students will rise to the challenge that we present them, given that our instruction helps them develop the skills they need to be successful.